Sign up here for a class today and get on the right track for 2019. Resilient Floor Care classes are scheduled for January 2019. 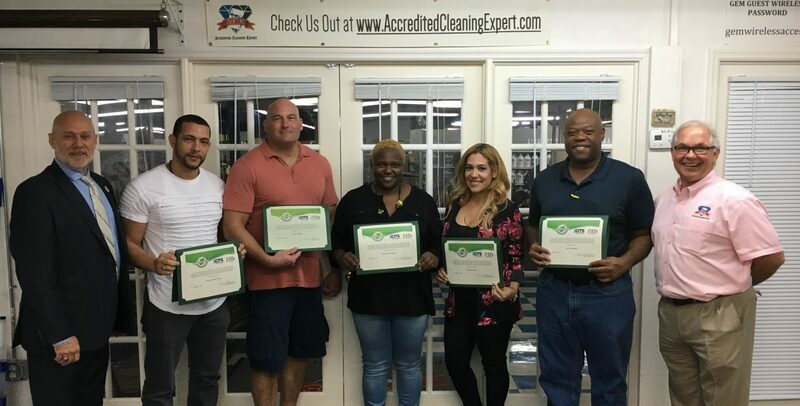 On November 5th, 2019 we had the pleasure to present to Pete Lostraglio, from the St. Petersburg Police Dept, the ISSA/CMI Master certificate which he earned. He was sent to the Academy to learn about healthy and progressive processes in preparation for the new Green/LEED Certified building due to be completed in March. Peter is seen here with his two supervisors. Their team will be receiving new, ongoing education as well.